Dr Edward Derbyshire is a Business Consultant and a leading speaker in space technology based near Portsmouth. 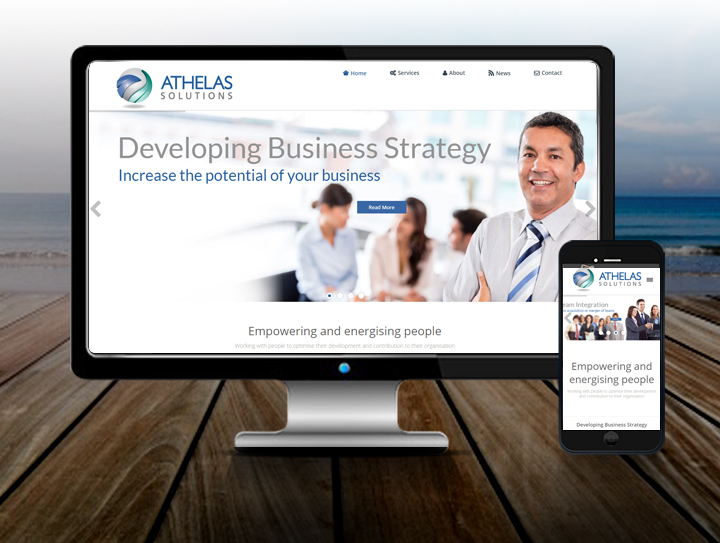 He approached Ebb and Flow Creative to launch a website for his new venture with his new business consultancy called Athelas Solutions. Ebb and Flow Creative helped him in every stage of the website process including designing a new logo, and business cards. The next step for this project is to use our SEO service to enable potential customers to find him when searching “business consultant”, “Hampshire”.